This is the "strong hub" design. It is often at the center of the base, but may be offset as well. Offset hubs tend to be diamond bases, but there are some that also come out rectangular. As with all base designs, it's helpful to anticipate the direction your attacker will deploy from so you can place traps and path him accordingly. The strong hub is probably the most prevalent design in the game. If you go through the top 10, 25, 100 players on the leaderboards, most will have a strong hub of one kind or another. Base designs that do NOT centralize key defenses are usually easily defeated. 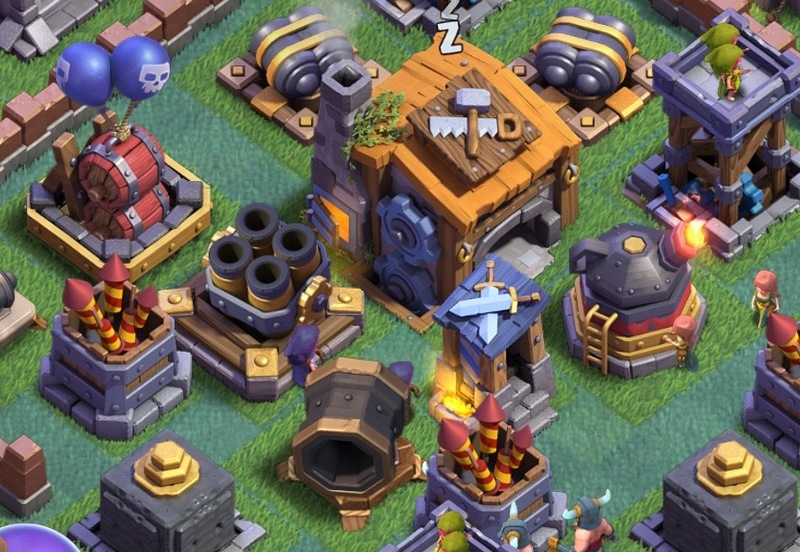 The big gun defenses - MultiMortar, Roaster, AirBombs, and Giant Cannon - are roughly adjacent to the Builder Hall and ring it. 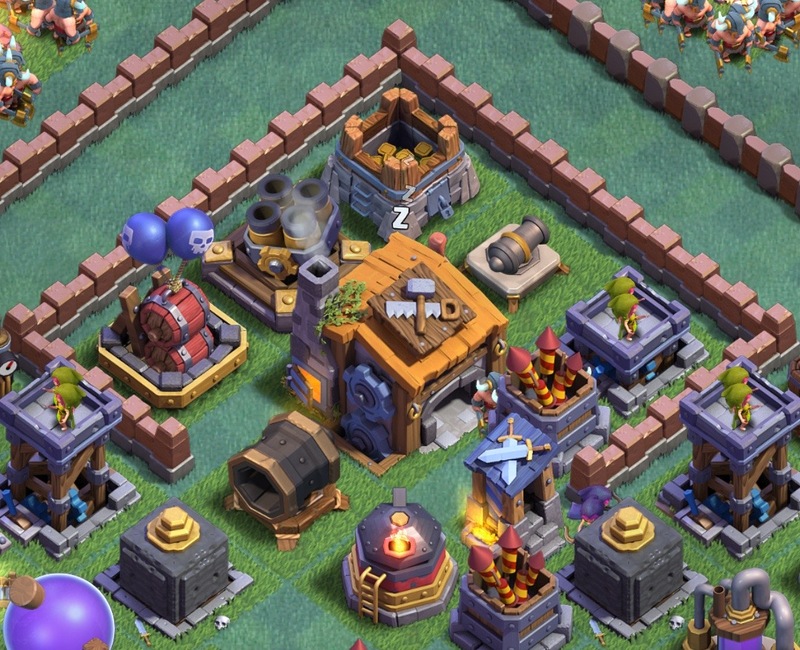 This layout uses other defenses to soften up the attacking army while holding the most damaging defenses back to protect the Builder Hall. In designs where the hub is partially surrounded by walls, you'll also find the Crushers guarding either side of the entry point. 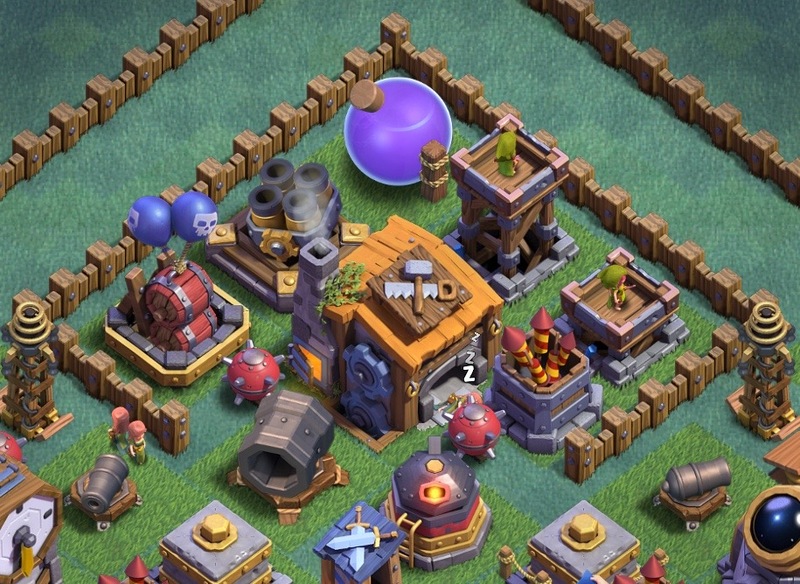 Remaining key defenses protect the hub but do so from outside the hub itself. FireCrackers surround three points of the hub or are lined up on the side opposite of the AirBombs; Crushers guard the Gateway or, often, two points; Hidden Teslas function similarly to the Crushers, owning two points (often opposite the two guarded by the Crushers). Point defenses - Archer Towers, Cannons, Double Cannons - provide overlapping "nuisance" coverage, sometimes from within the hub but also from a ring outside the hub itself. The Guard Post is usually situated within the hub and Guard Post troops serve to distract inbound attackers, taking their attention away from key defenses which subsequently hammer them. I can hardly count the many times Guard Post troops have set my troops into disarray, breaking up their entire pathing. This design concept ensures maximum damage from your heaviest hitting defenses by increasing opportunity while taking advantage of range. It also helps to prevent mass Sneaky Archer and Raged Barbarian attacks from taking out your most capable defenses early. 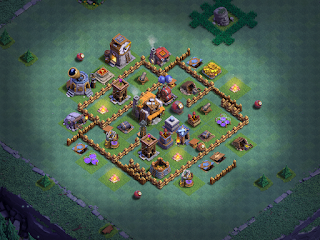 A strong hub also counters one of the biggest design issues among base layouts - placing key defenses around the outside of the base. 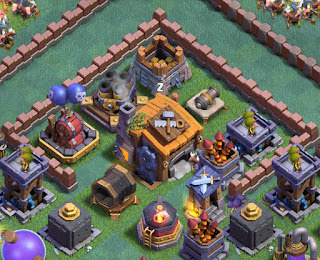 This is easily the most common design mistake I see when attacking - players will take one or more of these big gun defenses and put them away from the BH, often on the outermost line of defenses. Occasionally, players will even put them outside the walls. AirBombs are probably the most commonly misplaced - some players will put their AirBombs on the outermost ring of their base, essentially rendering them useless for most of the battle. 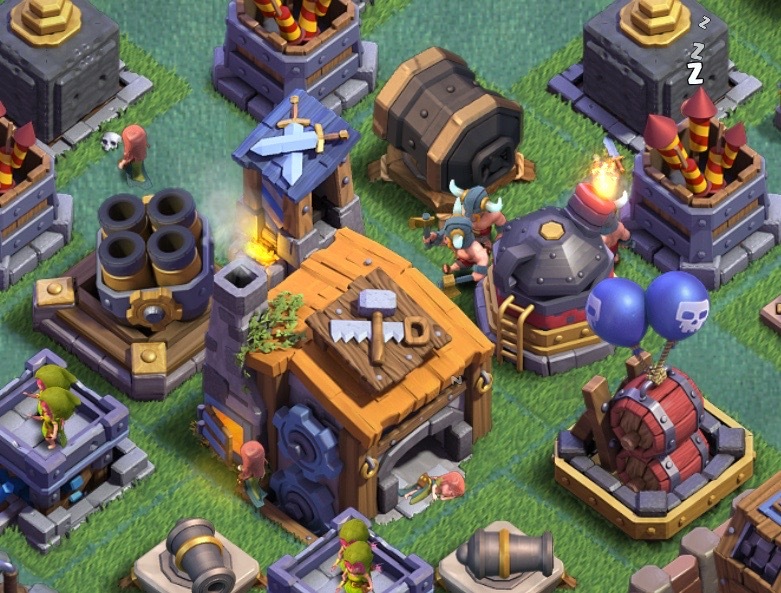 The MultiMortar may end up toward the edge of the base as well, leaving half or more of the base exposed to attack outside its range. Players will sometimes divide the base into two separate, unique halves; one side with the Roaster at its center, the other with the MultiMortar. 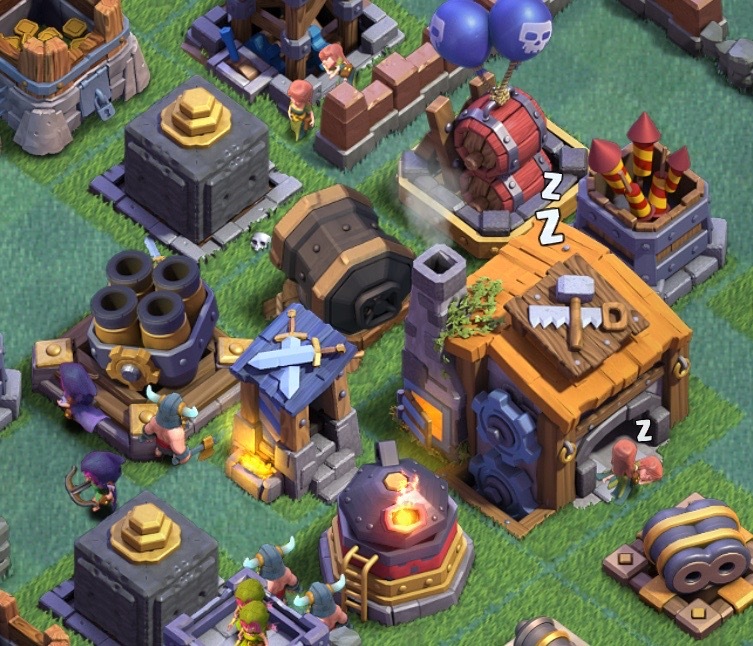 I've even seen what amounts to a zone defense base. These designs are usually defeated. The Base Building 1xx series will continue in the coming weeks with additional concepts. If you have any requests, comments, or just want to drop a line, feel free to comment here, on the video, or catch me on the forums. 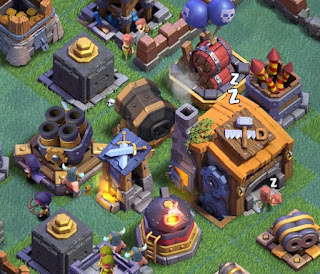 Here's the link to the complementary video which includes 2 replays and a quick look/analysis of 5 or so bases on the global leaderboards.